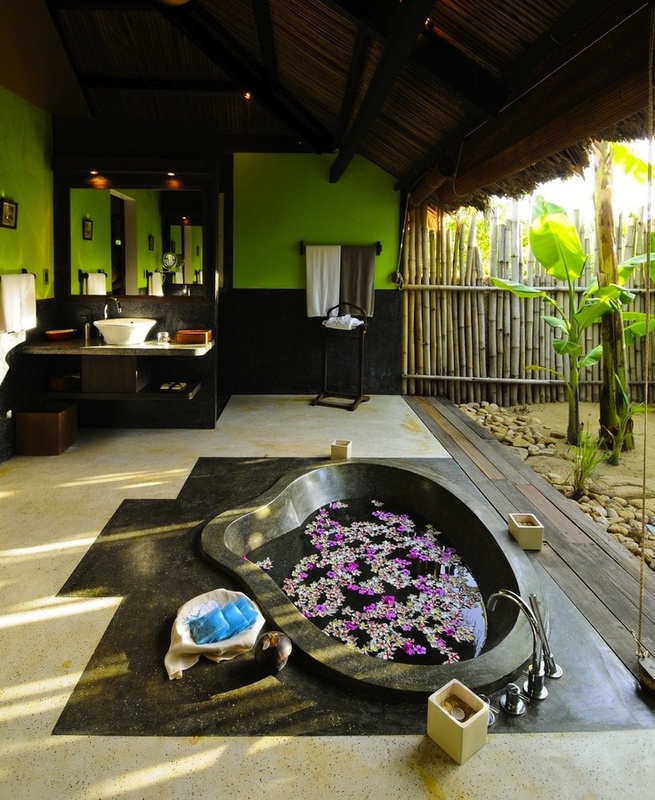 A tropical bathroom provides a spa-like experience and to create such an interior in your bathroom you needn’t much. 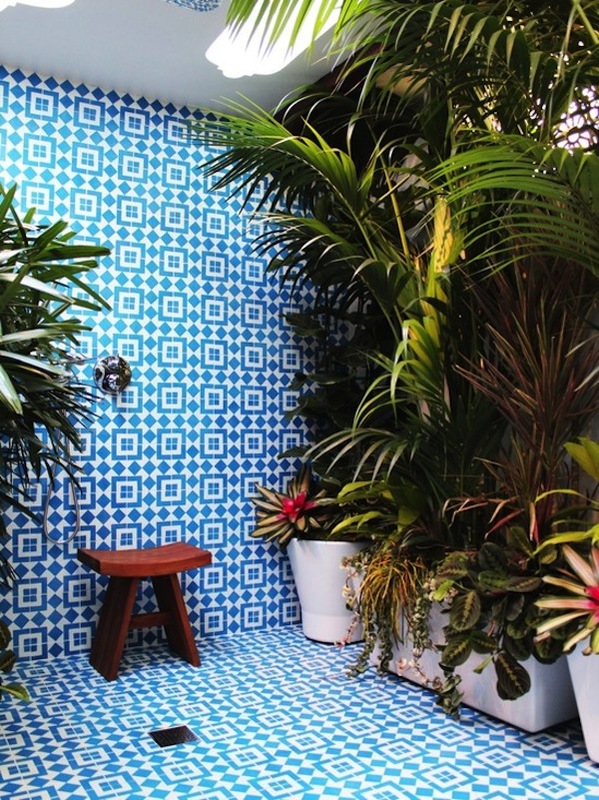 If you can’t make an outdoor bathroom with lots of greenery around, you can always use green mosaic tiles, bamboo, stone bathroom appliances and green plants in pots everywhere you like. 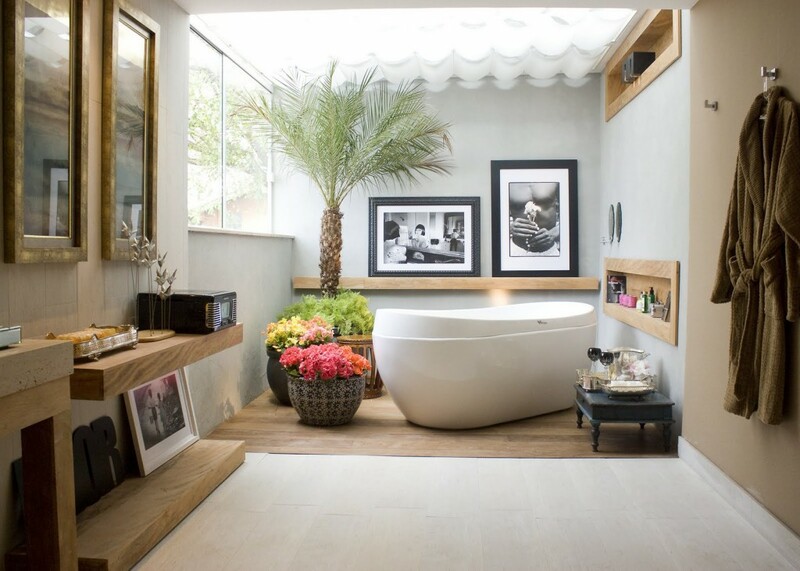 Have a look at some examples: photo wallpaper with plants, bamboo mirrors and pebbles under the bathtub help to turn your bathroom into a spa! Glass shower cabins and amazing views around would make you relax and enjoy bathing experience. 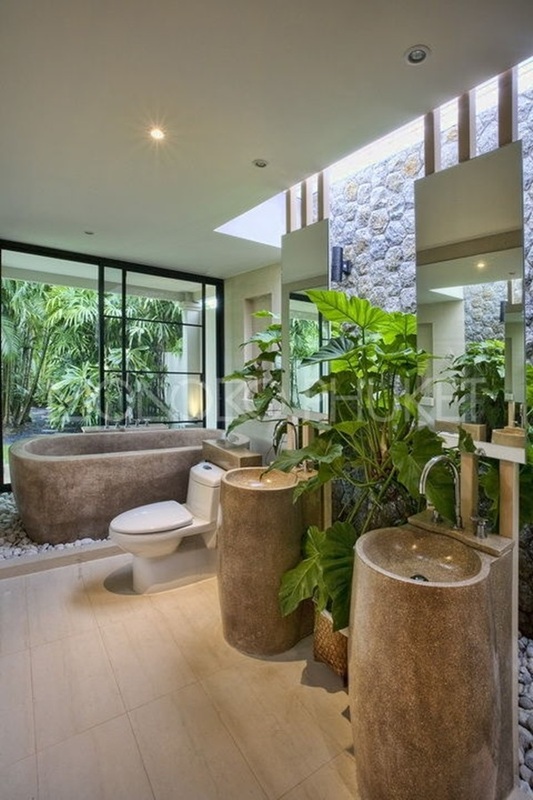 Well, we all know that a bathroom interior can not be look complete without having beautiful sink. There are so many types of sinks color and designs available and you can chose one according to your bathroom color theme. If your bathroom color theme is brown than you can find some beautiful brown sinks here. 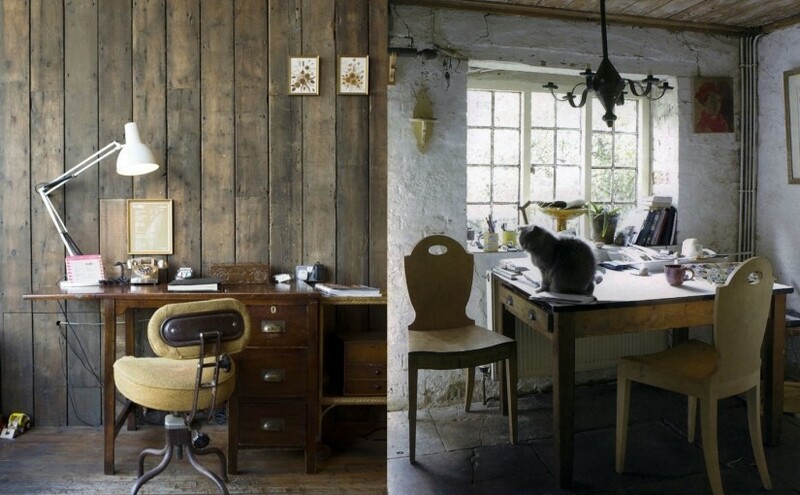 Have a look at some ideas below and get inspired!